helping them learn valuable lessons in teamwork. Basketball at the “Y” and now the “J” has a rich tradition and history.The BJCC was home to some of Toronto’s most talented and successful basketball players in the GTA, including NBA stars Stephen Curry, Jamal Magloire, and many more. Hundreds of JCC Ball alumni have gone on to NCAA D-1 Scholarships, Professional Teams and National Teams. The JCC is also a “Hub” of Basketball across North America. From introductory programs, to house leagues, to adult leagues, to competitive teams to the JCC Maccabi Games, the “J” is a true home for ball. Even the great Lebron James has played some ball at the J. One of the best benefits of playing recreational or competitive ball at the J, is our ﬁrst-class facilities. 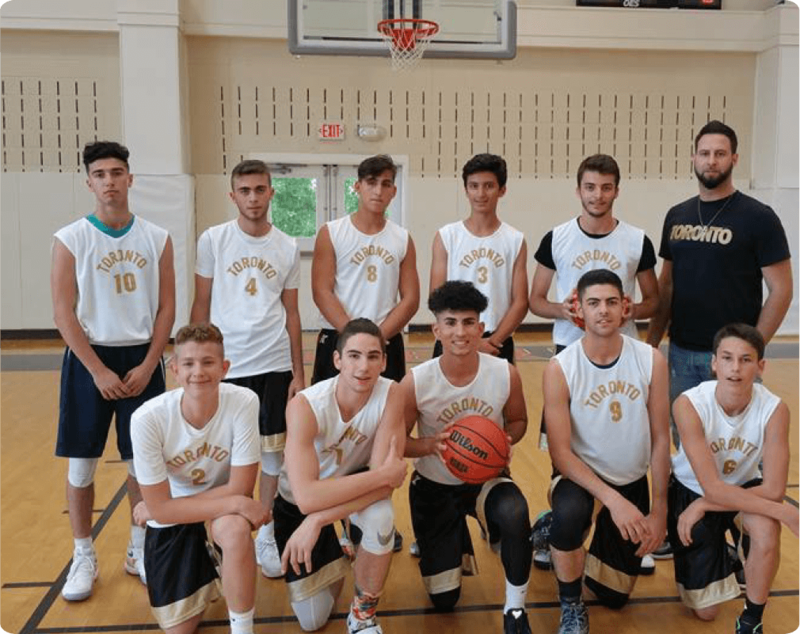 Both of our gyms at Lebovic Campus, are state of the art, with proper hardwood flooring, air conditioning, sound systems, proper change rooms with showers, large electronic scoreboards, multiple nets including NBA regulated glass backboards and more. We also use North Thornhill Community Centre, Garnet Williams Community Centre and Rosemount Community Centre to accommodate our many teams.